I produce a variety of contemporary, functional items for the home and garden made from metal (mostly wrought iron), and sometimes mixed media. My scale ranges the whole gamut, from tiny hooks to large architectural installations. Large pieces are generally one-of-a-kind commissions for private clients, and smaller pieces are often the result of several years development of a particular theme. While function is always important, line and form referencing an organic emergence of movement and time are the visual subjects of my work. 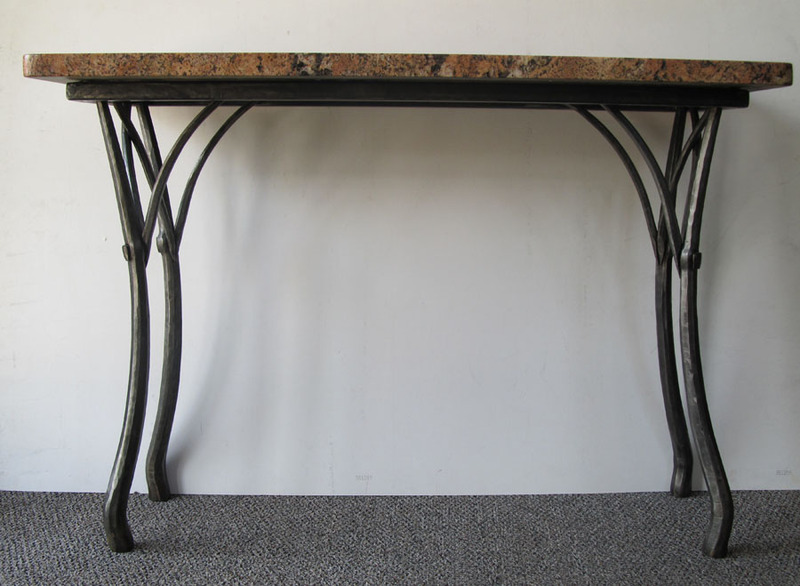 This lends a natural connection to the historical periods of the early 1900's Arts and Crafts movement, Art Nouveau, and later, Art Deco.